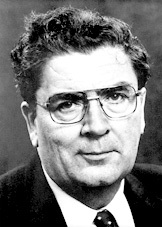 In 2001, the Annual John Hume Lecture was inaugurated at the MacGill Summer School as a tribute to the social and political work done over the past decades by the then leader of the SDLP, and Nobel Laureate, John Hume. The lecture is intended in particular to celebrate John Hume’s major contribution to defending constitutional politics and to the peace process, which brought about the power sharing government in Stormont with, as a result, political, social and economic stability in Northern Ireland. It is also in recognition of his work on behalf of the people of Northern Ireland in the Westminster parliament, the European parliament and in the US. 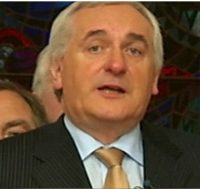 Bertie Ahern retired as Taoiseach in 2008 having enjoyed the unique distinction in modern Irish politics of being the first person in over sixty years to have been elected to that office on three successive occasions – 1997, 2002 and 2007. After Éamon de Valera, Bertie Ahern’s term as Taoiseach is the longest. He served as a member of Dáil Éireann for almost 35 years. He was first elected in 1977 for the constituency of Dublin-Finglas and he represented Dublin Central from 1981 until 2011. He was Minister for Labour from 1987 to 1991 and was appointed Minister for Finance on three separate occasions from 1991 to 1994. In 1997, his party was elected to government in coalition with the Progressive Democrats. This minority administration was supported by a small number of Independent TDs. Bertie Ahern received widespread praise for his political skills in ensuring that this administration served its full five-year term and delivered on real political and economic progress. The defining moment of this period and a defining moment in Irish history was the successful negotiation by Bertie Ahern and Tony Blair of the Good Friday Agreement between the British and Irish Governments and the political parties in Northern Ireland in April 1998. The Agreement followed years of talks from the late 1980s between the leaders of the two nationalist parties in Northern Ireland, John Hume and Gerry Adams with the backing of the Irish government and several taoisigh which led to an IRA ceasefire in 1994. It was, though, with the personal involvement of the leaders of the British and Irish governments, Bertie Ahern and Tony Blair, as well as of US President, Bill Clinton, in the very difficult and complex talks between the parties of Northern Ireland that the Good Friday Agreement was eventually signed. The Agreement practically put an end to paramilitary violence in Northern Ireland which for three decades had claimed more than 3,000 lives and grievously injured many more. It brought a power-sharing administration and consequent social and economic progress. It transformed relations for the better between Ireland and Britain, between Ireland, North and South, and between different traditions within Northern Ireland. It instilled a new ethos of tolerance and respect into politics on the island of Ireland, at least temporarily, and between between the islands of Ireland and Britain. Bertie Ahern’s involvement is considered to be one of his most significant achievements. 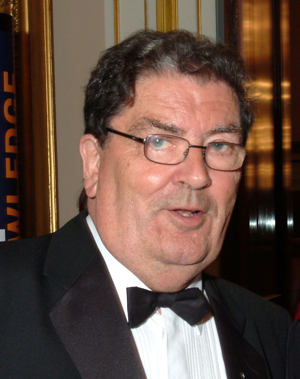 John Hume was born in Derry, 18 January 1937. He was educated at St. Columb’s College in Derry and at St. Patrick’s College, Maynooth where he studied for the priesthood. He returned to Derry to become a teacher in the city. He was one of the founder members of the Derry Credit Union which was the first credit union in Northern Ireland. From 1964-68, he served as President of the Credit Union League of Ireland. With Father Anthony Mulvey, he set up a housing association in Derry. He got involved in the civil rights movement in the late 1960s and was elected independent member of the Northern Ireland Parliament at Stormont in 1969 and a Westminster MP in 1983. He was a founder member of the SDLP in 1970 and succeeded Gerry Fitt as leader in 1979. He was elected to the European Parliament in 1979. He played a leading role in the setting up of the North’s first power sharing executive in 1973 in which he was appointed Minister for Commerce. He was one of the prime movers behind the Anglo-Irish Agreement signed at Hillsborough in 1985 by British Prime Minister, Margaret Thatcher and Irish Taoiseach, Garret Fitzgerald. John Hume, much to the dismay of many, became involved in talks with Sinn Féin leader, Gerry Adams, in the early 1990s which were ultimately to lead to the IRA ceasefire in 1994 and the signing of the Good Friday Agreement in 1998. He was, with David Trimble, co-recipient of the Nobel Peace Prize in 1998. John Hume retired as leader of the SDLP in 2001 and on 4 February 2004, announced his retirement from politics. The Annual John Hume Lecture was inaugurated at the MacGill Summer School in 2001 with the inaugural lecture delivered by Mr. Hume himself.